The Dartmouth-Boston University-Muhimbili (DBM) Fogarty HIV training program is building on prior Fogarty-supported capacity building activities to train research faculty to conduct HIV and HIV/TB epidemiologic research and clinical trials at the newly established Infectious Disease Institute (IDI) at Muhimbili University of Health and Allied Sciences (MUHAS). A major goal is to mentor and support junior faculty to become successful in performing research and in obtaining independent funding as part of IDI’s research training program while also expanding MUHAS’ portfolio of funded HIV and HIV/TB research. These faculty will help establish IDI as the premiere self-sustaining research and training institute for HIV and TB in East Africa. The Directorate is hereby advertising one position for a 2-year MSc in Epidemiology to be undertaken at Boston University School of Public Health (BUSPH) beginning in September 2019. The prospective student will work to contribute the research capacity of the newly established IDI and support the research agenda of the National TB and Leprosy Programme (NTLP) and National AIDS Control Programme (NACP). (i) Financial support will be provided by Fogarty International Center of the US National Institutes of Health through a grant awarded to Dartmouth’s Geisel School of Medicine in Hanover, NH, USA. (ii) Support provided to MSc students will include travel costs to the US, a student housing and living stipend, tuition and any other academic fees for the duration of the degree program, which is typically 2 years. 1. The candidate must hold an MD degree. 2. The candidate must have a cumulative GPA of 3.8 or above (out of 5.0) from their undergraduate degree. 3. Selected applicants will be required to apply for MSc Epidemiology at BUSPH, and must satisfy all the general admissions requirements of the MSc degree at BUSPH (e.g., the GRE and TOEFL, test fees covered by the program). Applicants must be accepted by the BUSPH Admissions Committee to participate in this program. (iii) The applicant must be creative, hard-working, with good communication skills, and with genuine interest to purse a research career in epidemiology/biostatistics of HIV/TB. (i) Should be able to work independently. 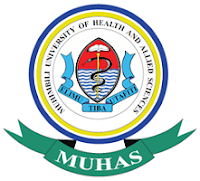 (iii) Priority will be given to MUHAS faculty or those who aspire to join MUHAS as academic members of staff. The deadline for submission of the above application materials to the DPGS will be at the closing office of September 15, 2018. (vi) Submitted applications will be reviewed by DBM Fogarty HIV Training Program Selection Committee. (vii) Shortlisted candidates will be interviewed.